Tense to relax – meet friends – speed-yoga – or just for fun … every approach is fine with us and everyone is free to join us. We would like to tell you about our Valentine surprise, the next archery safari and update about Arco Academy! Arco Vienna fills hearts with joy! 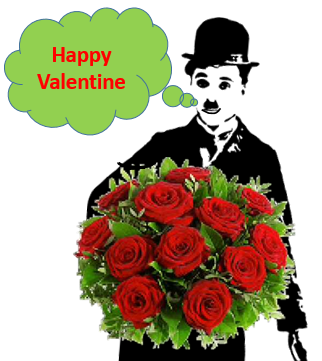 ​Charlie Chaplin is the absolute romantic: tireless, with the biggest heart in the world and always ready to help a damsel in distress. We are not sure whether he was an archer, but we like big hearts. Please accept our HEARTfelt invitation to Arco Vienna, because we have something planned for you during the St. Valentine’s week. If you come by on the 13th, the 15th or the 17th of February, you will have a truly singular archery experience: it is all about love! Come with your partner or build an undefeatable team with a co-archer. The motto here is „teamwork“. And, of course, to shoot to your heart’s content. Adventure calls: it is safari time! One of Arco Vienna Club’s highlights is our annual three-day safari. Breath-taking vistas, great landscapes and brilliant shots are waiting for you. A romantic campfire, a dash of adventure and absolute relaxation with bow and arrow. We are taking a fun-laden group trip to Austria’s best 3D parkours. The date is the Pentecost weekend, from Saturday, June 3rd, to Monday, June 5th 2017. Accommodation costs 71€ for two nights. As usual, we organise both sleeping arrangements and travel. We are looking forward to a mighty group of archers coming to the 5th safari. The participant number is limited to 20, booking starts now! In autumn 2016, we have presented Arco Academy: our unique online learning system which allows you to prepare for all World Archery arrow degrees. The first exam date is coming this spring. Be there and prove your competence! Because of the great interest regarding the arrow exams, we have decided to organise a general exam day! The first general exam for the White Arrow will take place on Friday, March 10th 2017, from 19:00. The exam begins with a written part where you will have to answer 15 questions in 30 minutes. In contrast to the online system, these questions will not have multiple choice answers. So put on your thinking hat and learn! In the second part, you will show what you can do. You will shoot fifteen arrows from a distance of ten metres. You fill out your score sheet while we observe your technique. If you have at least 80% correct answers on the written part and have shot at least 105 points, the White Arrow is yours! In order to ensure that everyone has our undivided attention, the participation is limited to 6 aspirants. The exam fee of 35€ is to be paid before the exam starts. And do not forget: Numquam culpa apparatum!